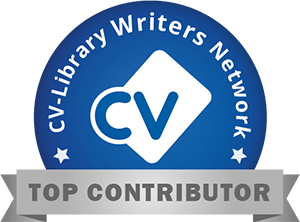 15 March 2014 - You've used a CV writing service, and now have a professional CV. Your CV is now so impressive that you have an interview! Interviews can be scary things, particularly if you haven't done many of them. They don't have to be, though. There are several things that you can do to prepare for your interview that will help you to stand out among your fellow interviewees. 20 March 2014 - It is often difficult to make your CV stand out from the crowd. We discuss the pros and cons of hiring a professional CV writer and how this can have an impact on future employment opportunities. This step-by-step guide will allow you to catch the attention of hiring managers with your strong, professionally written CV. 15 February 2014 - PurpleCV was ‘born’ with one goal in mind – to get our customers an interview through producing a bespoke and professional CV. We are not in the business of un-necessarily over charging job seekers and we are not in the business of providing a second rate CV Writing Service. 25 February 2014 - Ever wondered why a British person applies with a CV and an American with a resume? In fact, there are a few differences between the two types of application documents. This article will answer your queries and tell you when it is appropriate to use a CV and when to use a resume. 28 January 2014 - You’ve come out of the other side of university with some blurry memories from nights out, a better appreciation of home cooked food, but now you need to think about getting a job. Your first thought is how on earth are you going to fill up all of that blank space on your CV? In this tough job market it’s vital that your CV is going to get you noticed. Here are some tips to help you write that killer Graduate CV.